It's amazing how one small moment can forever change your life. This happened to Nicholas Lozito, while travelling alone on the Tea Horse Road through Yunnan, China. He was interested in farming and photography, but wasn't focused on tea. That all changed on a rainy day hiking through the mountains. He was invited by a young farmer to sit down and have some tea. This one event led him through a multi-year tea journey, and a life-long friendship. His tea exploration resulted in Misty Peak Teas, a tea company focused only on pu'er. Tea from the one farmer he met on a fateful rainy day. Nicholas' story is extremely interesting, and I am excited to share it with you. Can you describe the journey to discovering your love of pu’er? My journey began with a sequence of fateful events. Like most people, I have always consumed tea in one way or another, but never fine tea and rarely loose leaf tea. In short, I was a wanderer; a traveler looking to take a few photos and maybe a story from this village or that city. At the time, I was travelling along the Tea Horse Road in Southwestern China in the province of Yunnan, when it began raining. It was a very rural village of about 700 people, hours away from the nearest town and many more from a city. I have been fascinated with farming for much of my life and heard that this region was known for its tea and may give me a good chance to snap a few photos of tea being processed. While trekking through a mountain, a young man invited me in to sit down and poured me some of his tea. I knew almost no Mandarin at the time, but he was able to communicate that he and his family grew and produced this tea we were drinking. That cup turned into a pot, which turned into an entire night of drinking tea with him. 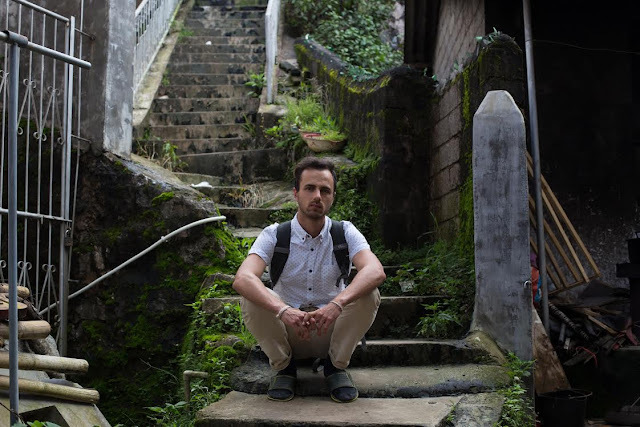 That night turned into years of living with him and his father and mother and sleeping in their tea factory to wake up and process tea or travel through the ancient villages. My journey was one of love, and with it I found tea. I have since tasted thousands of Pu’er teas, and coincidently, his happens to be the very best. Hundreds of others in the tea community have said the same. Little do they know that it was all through fate that we are able to drink this tea and that it happens to be great tea and that the young farmer happened to want to learn some English and make a friend. How long did you spend living in China, learning the many aspects of growing and producing pu’er? I was fortunate enough to spend about three years with the family, then a couple years where I would spend a few months a year after that. Now, I am there about 2-3 months a year. Why did you decide to sell only raw pu’er, and from just one family? For me, I consider myself a Sharer of Tea, rather than a sales person. When I found this family, I found their tea by chance. I was wandering the world doing yoga in India or meditation in Thailand, just searching for something like most of us do in our 20’s. Believe it or not, that first cup of tea changed my entire life. I realized that tea is a medicine and a tool, and can help you feel incredible. Remember, in Traditional Chinese Medicine, tea is a medicine and the only one that is recommended for daily consumption. In short, I wanted to share my time and experience and joy of this village, and the easiest way to do it was through tea. I wanted to share yoga and meditation and all the spiritual pursuits we chase, but it was difficult. Through tea, I could simply pour a cup or send an order, and it would do so much more than a meditation cushion. Now, there is no reason to sell any other tea. This is my family and why would I sell anything that is second best or that I am not deeply connected to? 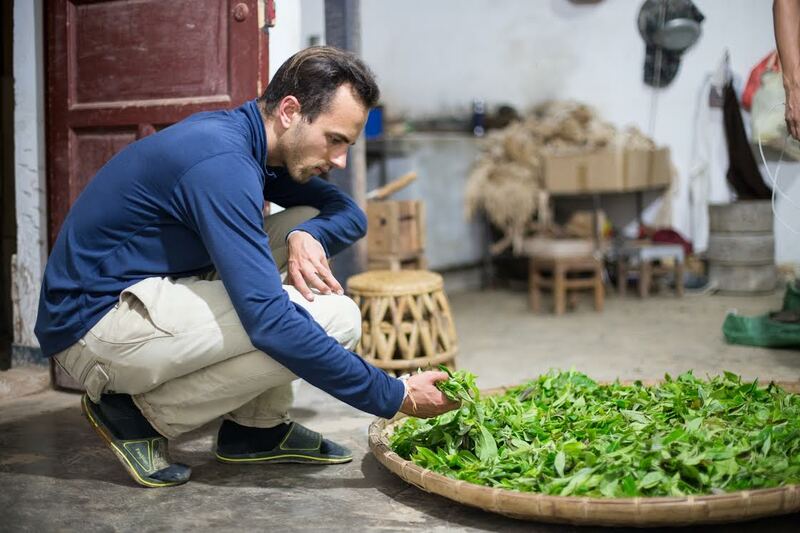 Can you share a little about the culture behind raw pu’er that interests you? History has been a tremendous part of my life. My grandfather was a history buff and a tremendous amount of the travelling I did as a child and on my own was because of historical or cultural pursuits; whether it be to the Civil War locations in the Eastern USA or to buffalo markets in Northern Thailand. History is a great way of knowing how we or it got to this point, and culture is a lifestyle, much like tea. The tea we consume in much of the west is often only a tea, if even that sometimes. When you start to pull leaves from trees that were planted before electricity was born or before Columbus set sail and found America, you realize that this whole tea thing was around long before the local café threw a tea bag in our mug on a rainy day. Tea isn’t a cute thing in Yunnan, it is the very blood of their life and culture and economy. Culture is so much to people. It is difficult to move somewhere new for many people because they lose their culture…this is why china town is in many major cities all over the world: they don’t want to lose their culture! Their foods their teas their clothing their life. Without the culture behind Pu’er tea, it is flat and it would just be another tea. Most teas do not have much of a culture and they may still be great teas but they miss that final step of becoming fantastic. Also, the fact that Pu’er is the only tea that can age and become better with that aging is also fascinating. Pu’er has so much history behind it would take a lifetime to study. It was the first tea ever picked and consumed thousands of years ago and now we are able to drink it from a family like this that still gives us a tea exactly as it would’ve been back then: no chemicals, no machines, only hands and nature. What are the biggest challenges of selling tea? One of the biggest challenges for us selling tea is educating the people and showcasing the difference between poor quality, good quality and great quality. Pu’er is very much unknown in much of the West still, except among avid tea drinkers. This is a hurdle but a fun one. The other big hurdle is value. There are some very big Pu’er dealers that offer literally thousands of different Pu’er teas on their websites, but most of it is undrinkable and all of it is stripped of its story and birthplace and culture and family. Our goal is not sharing tea, it is sharing a lifestyle. Educating people that tea is not just a beverage, it can literally change your life. It absolutely changes how you feel and think for the hour that you drink it, so if you do a few of those hours often enough, your days will end up changing and if you do a few of those days often enough your life will change. Tea is a tool and it needs to be shared. Another challenge is price. There are so many of these big Pu’er sellers that will sell just about anything and make a few dollars that it is tough to break the thought process with people that brings them to even try our tea, but once they try it, they are customers for life. Over 87% of our customers re-order, and we only have one tea! Tea is a gift to us and educating that cheap things are seldom good and good things are seldom cheap is a way to bring people closer to feeling great. What are your tips for storing raw pu’er? To store Pu’er it is best to keep it away from other items that may have an odor that is anything other than that of the Pu’er. Also, be sure to store green Pu’er with green Pu’er and black with black, and so on. Humidity is important, but not too much (50-65%) and standard room temperature is great. The tea is a living thing, like a cat or a flower, so treat it as such. Do not suffocate it or starve it of water. The micro flora on the tea leaves need to stay alive in order for that tea to age and mature. Bringing the tea to high humidity and hotter temperatures will mature it much faster and have the risk of mold. Make sure there is clean air circulating and the tea is moved every few months so that it may evenly be exposed to the elements. Also, the more tea you have the better, so store them next to each other. The biggest thing that we have done in the past five years just happened a few days ago. Pu’er tea often comes in the shape of a disk, called a bing. It has been this way for thousands of years and it is how it almost always appears. We changed that. Misty Peak now has the tea in the shape of a mountain peak in, what we call, Spring Mountain. What’s inspiring about that? The tea world is exciting at first, but after looking around at the same stuff for years, it shows itself as very stale now. Being in a position to make a change, and having an eye for beautiful things, I felt like I had to. I have been in different fields where someone at the top or to the side inspired me, but unfortunately in the tea world, there are no interviews of others I am watching or books that get me going. The culture is beautiful, but the people on this side of it often are businesspeople first. I want to be different than that. I want to bring something beautiful to the tea table and have it be incredible quality as well. Can you share one of your most memorable tea experiences? One of my most memorable tea experiences is drinking tea with a friend who had never had tea before. There is much to be said to that, but basically she sat with me and allowed me to pour her some of our tea. She wasn’t curious too much nor did she ask many questions. Ahh, this is tea. Tea is lost sometimes in all the ceramics and clothing and religious and spiritual show, but it really is exactly that: just a nice subtle tasting leaf floating in water. This way of tea is the finest way of life. A few nice shirts, shoes that fit, and a car that is comfortable. Simplicity is beauty. The ‘perfect’ cup of tea is very subjective. For you right at this moment, what would be your perfect cup? Our Autumn 2015 harvest, brewed strong, and enjoyed with a dear friend. Thank you so much for taking the time out to share your journey with us, Nicholas! To learn more about Misty Peak Teas, you can visit their website. How would you answer that last question, Sara? For me right at this moment- the Global Tea Hut Dian Hong that I oversteeped, but is still delicious. It is helping me get through a sleepy morning filled with meetings. What about you, Georgia? Thanks Lu Ann, so glad you enjoyed it! Yes, I love that puer tidbit too!! Such a nice way to phrase it.